I grew up fishing in NJ and was drawn to New England for grad school given the reputation and projects at UMass where they work so cooperatively with the fishing industry. 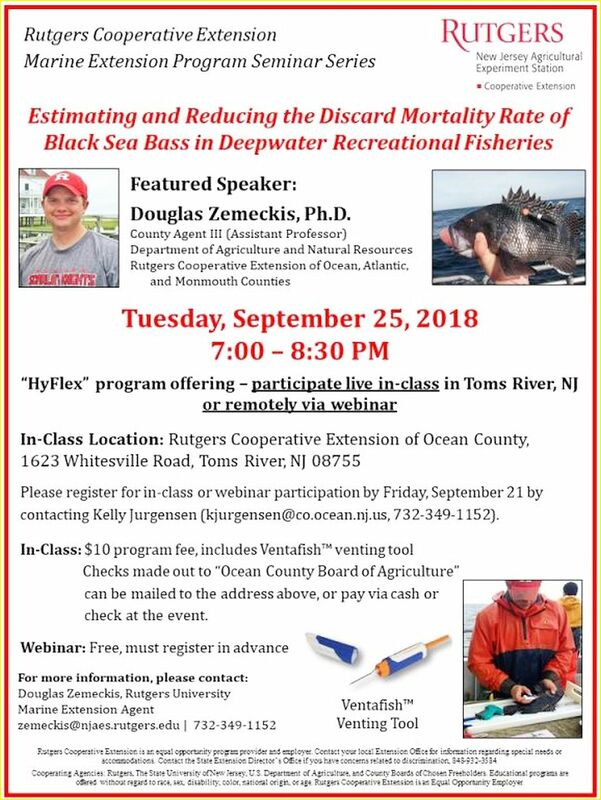 The presentation will describe the results from a black sea bass tagging study that was conducted to estimate the discard mortality rate of black sea bass during the winter offshore recreational fishery, including recommended best capture and handling practices for reducing the discard mortality rate of black sea bass (e.g., swim bladder venting). This seminar is open to all who are interested and will be a "HyFlex" seminar offering where you can participate live in-class or remotely via webinar. 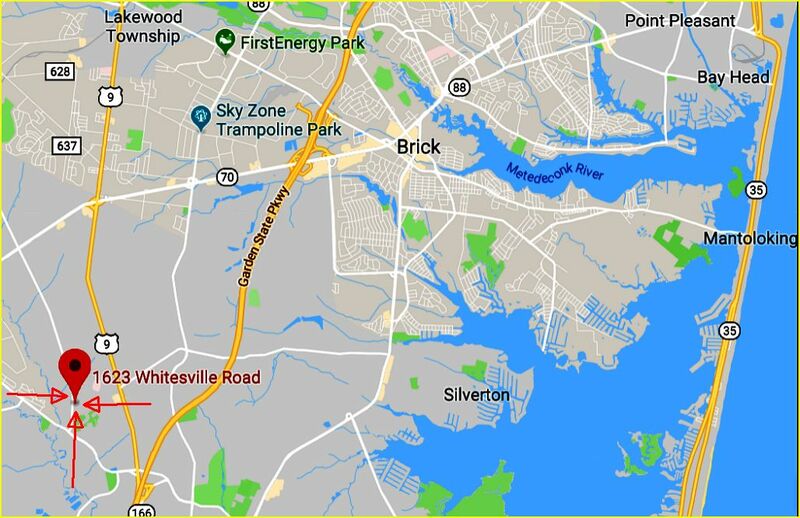 Checks can be made out to "Ocean County Board of Agriculture" and mailed in advance to the address above, or payment can also be made via cash or check at the event. Webinar: Free, but must register in advance! I understand regarding the lower catch rates with the snapper and grouper fisheries down south. That does make it easier for the crews and anglers to either vent fish or use descending devices. 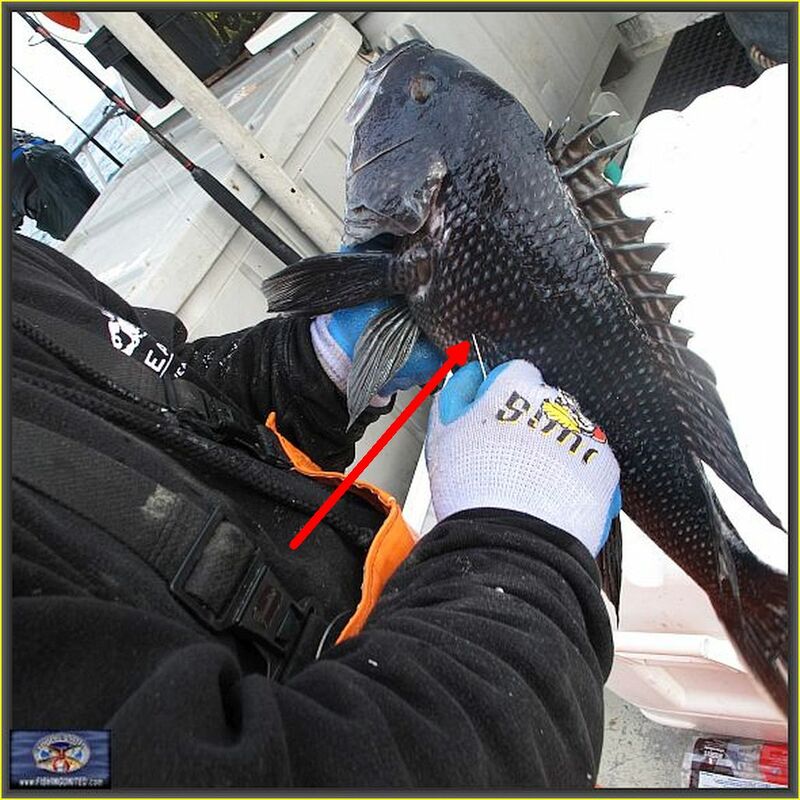 For our offshore black sea bass fishery, the catch rates are obviously higher which would make it more effective for anglers to be educated on proper venting techniques, but the mates can also make some progress on this by venting fish when possible or showing people how to do it. 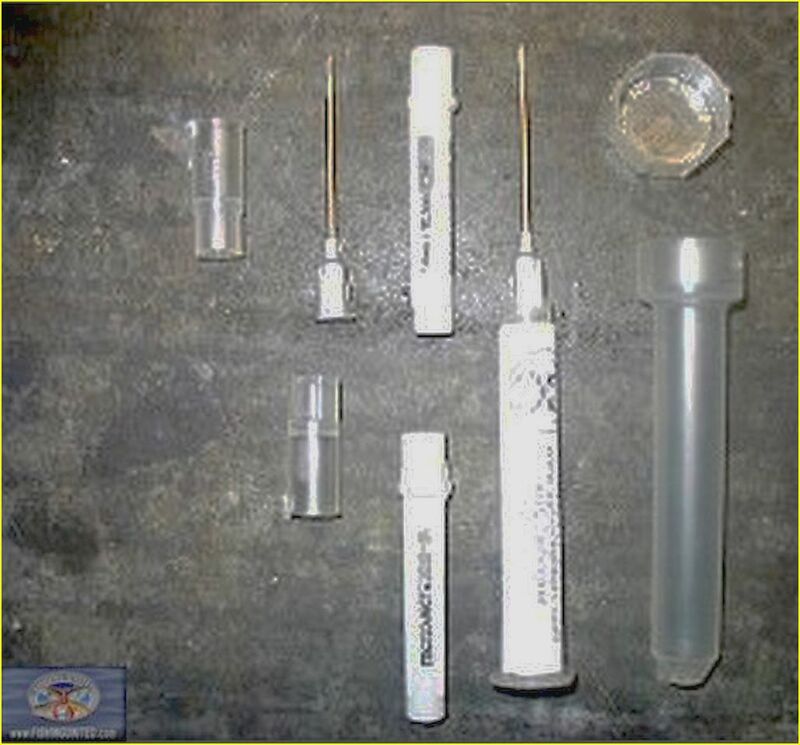 Its certainly possible that venting tools will just end up in peoples' tackle bags or in the wheelhouse, but getting them into their hands would at least make them more likely to be used if they instead had to go buy them on their own. Recent research shows that anglers are more likely to vent fish than use descending devices. So, there is a bit more of shift back towards venting and not just descending devices. But, an education component is needed for proper technique (that's where I come in!). Thanks to Doug for his research in helping us to understand not only how to properly vent fish, but also how hand gear fishermen can go about in lessening the regulatory discard of BSB. Finally, this was the venting tool kit I purchased a number of years back. I can tell you that even with a surgically sharpened needle, when you accidentally stick yourself, it hurts. Just be careful when using on your vessel.